Take a look at Ricardo's evocative portrait of Hillary Clinton for Sunday's "El Mundo" newspaper article. The article talks about the position Hillary Clinton is put in regarding her stance on current and future US policies, and how difficult it will be for her to obtain the votes considering how divided the country is. Of what is Hillary 'made up'? 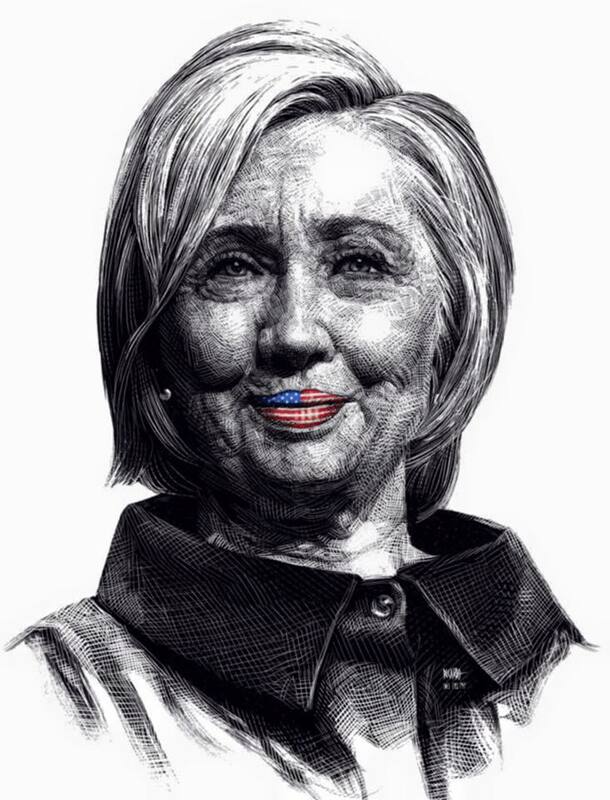 She wears the American flag on her lips, the way make up is sometimes worn as a way to appeal to the general public. The issues pertaining her current uphill battle, hugely rely on the vote set by supporters of her husband, previous president Bill Clinton, and current president Barack Obama. "Hillary Clinton y su heterogénea coalición de blancos y minorías"
"Hillary Clinton and heterogeneous coalition of whites and minorities"
Mark T. Smith // Zika!